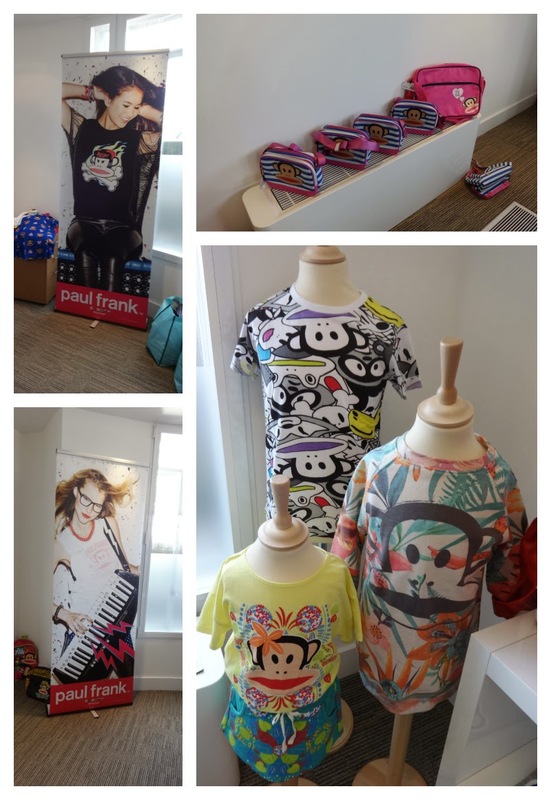 New Mum Online: Paul Frank Rocks! A few weeks ago on the Brit Mums' Community a blogging event was advertised. Well, it was a press event really but bloggers were welcome. 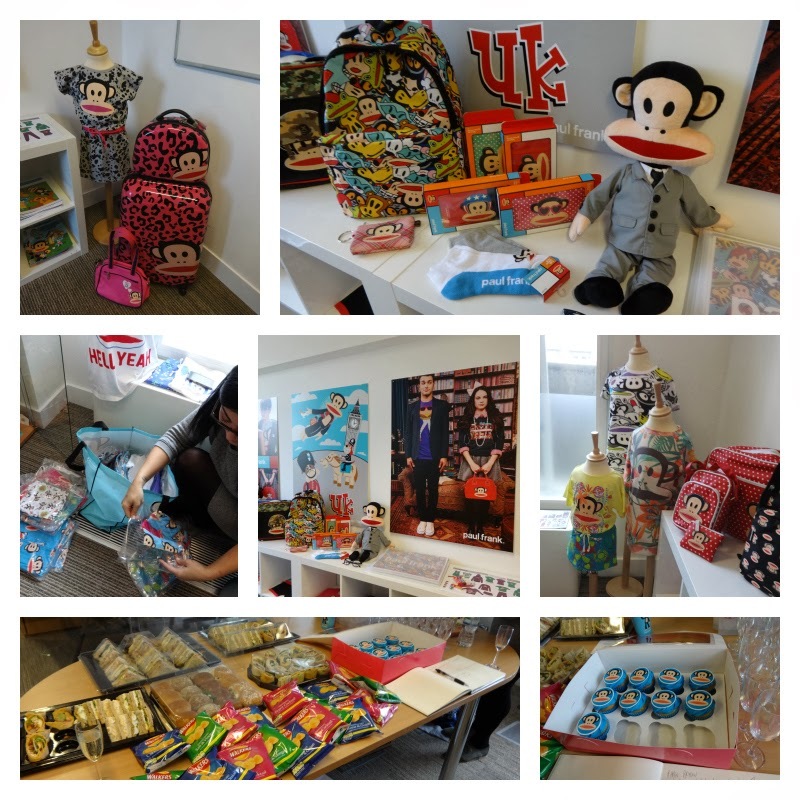 Mainly, as parent bloggers, because Paul Frank has just launched a kids range. H&M stocks some of it. However, you can see a great deal on their very own Paul Frank website. So I went along despite the one day travelcard of £9 being a large expense at the moment - oh how times have changed, and boy am I glad I did. The range rocks, and I was able to take away a few samples. The PJs illuminated in sun rays at the bottom are mine which I wear at the same time as Aaron, and we look like twins. Rest I gave to 2 of my nieces. The event was laid out beautifully and the cupcakes were to die for - really buttery. I got to meet the childrenswear designer - that's her below, picking out samples. 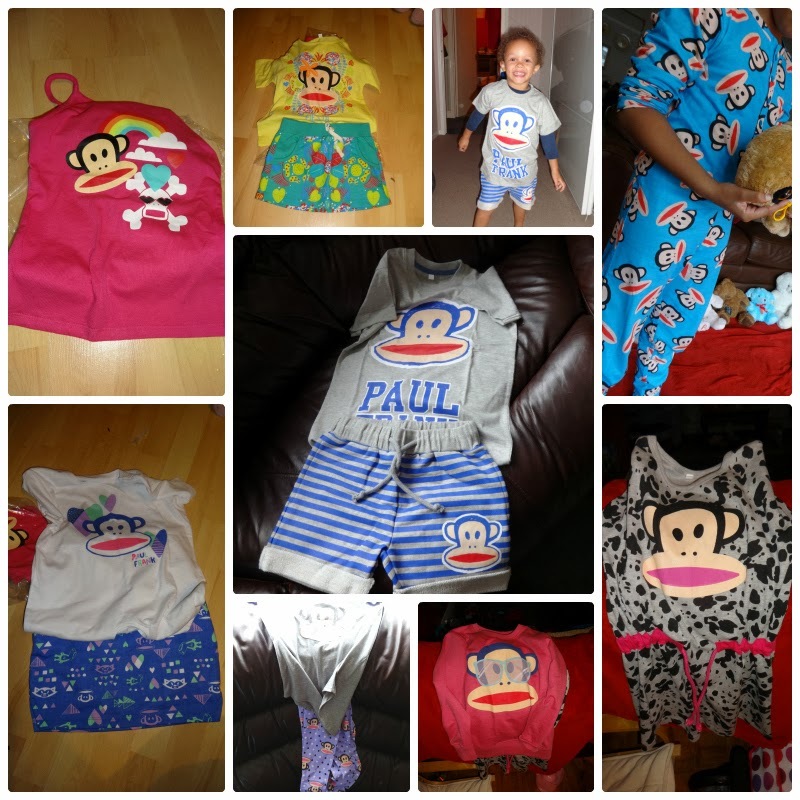 I would really recommend a Paul Frank Xmas purchase for the cheeky monkey in YOUR life ;-) The range is really extensive and far from stops at clothing... There's electronics, home, bedding etc etc etc... You can even buy a bedroom in a box! Aaron and I are definitely fans, and I think they have really got their children's range right. What do you think? Disclosure: I attended the event and took away a few samples. I was not asked to write this post and all words/opinions are my own.